Blog - Top 10 things to do in Malta for free! Malta, the beautiful Mediterranean country has plenty of attractions for visitors and citizens alike. Whether you love historic buildings, rugged landscape, or sandy beaches, the country has plenty to offer! Here, we present you a curated list of interesting activities, and these are free too! 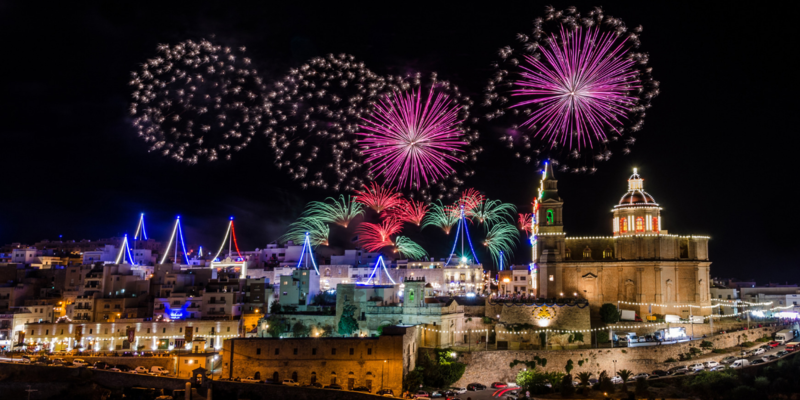 In Malta, celebrations are always on! Parishes in the country hold “Festa” to celebrate particular days for their patron saint. Local communities participate in these celebrations with gusto! They decorate the streets with lights and colourful decorative material. Communities organise fireworks on the eve of the Festa, where people celebrate with friends and families. There is vibrant music, and of course, excellent food! The community holds a “High Mass” in the following morning, moreover, they typically organise a procession of the patron saint. Whether you are a visitor to Malta or residing in the country, you are wholeheartedly welcome to join the festival! Do you love art, especially modern art? When you are in Malta, you have an excellent opportunity to relish the contemporary art of British artist Victor Pasmore. Pasmore made a key contribution to the art of abstraction in the 20th century, both in Britain and Malta. The Victor Pasmore Gallery is in Valetta, the capital of Malta. It’s a unique gallery, dedicated to Pasmore and his contemporary art exclusively. Pasmore spent a significant part of his life in Malta, and the gallery focuses on his art during this period. It also displays some of his art from his earlier days. Relish the masterpieces of Pasmore leisurely, and take another unforgettable memory of Malta with you! “Fomm ir-Rih”, which means “wind’s mouth” is a great option for people who love outdoor adventures. This is a bay on the western coast of Malta. Visitors are treated with the surprising sight of a steep vertical cliff face and a pebble beach, right next to each other! It's rather off-the-beaten-track since not everyone can easily reach this place. However, adventure-lovers have much to cheer for! They need to follow a steep narrow path for a considerable distance to reach the bay, where they can enjoy a swim! If you love outdoors, physical exercise, and relative seclusion, then you shouldn’t miss this! Are you fascinated by medieval history? Do you want to experience it quietly? You can do so in Mdina, the ancient city which now has a population of just about 300. It’s often called “Silent City”, however, it has an eventful history. Phoenician settlers founded the original city in 8th century BC, and it was named Maleth. It was the capital of the island from those days, up to the medieval period. During this period, Romans, the Byzantine Empire, and the Arabs controlled the destiny of Malta by turn. The present name is derived from the Arabic word Medina. When the Order of St. John took control of Malta in 1530, Birgu became the administrative centre of Malta. There are narrow, cobbled streets within the walled city of Mdina. St. Pauls’ Cathedral and several other medieval buildings add to the charm of the city. A quiet walk here will let you feel the medieval times, away from the fast-paced modern world. An optional visit to Palazzo Falson will cost you €10, however, you can view the interesting collection of treasures. 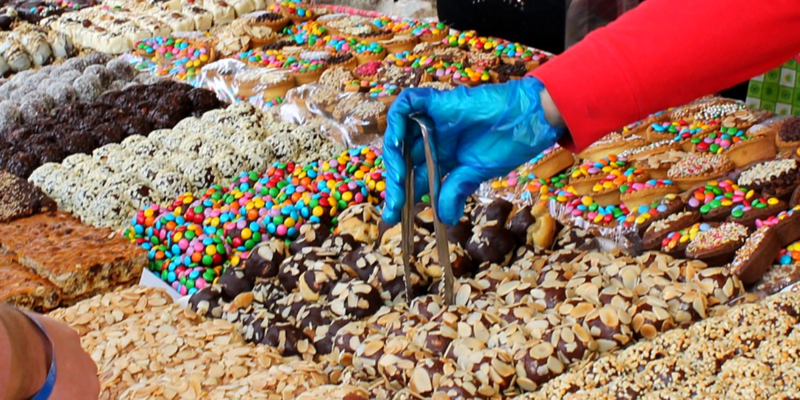 When you travel, a visit to a local market is perhaps the best way to experience the local culture. When in Malta, visit the flea market in the city of Birgu! This takes place on Sundays, and the Fortini grounds outside the city wall is full of stalls on Sunday mornings! Merchants sell books, trinkets, brass items, antiques, and many more things in this flea market. As with many other such markets elsewhere, bargaining is very common. You also have the opportunity to observe interesting people, which is often an interesting part of travelling! Remember to start early since many stalls close around midday. Valletta has several beautiful gardens, and you can easily explore them all. An advantage of Valletta is that you can easily get around on foot and find these gardens. We particularly recommend Upper Barrakka Gardens, Hastings Gardens, and Lower Barrakka Gardens. Upper Barrakka Gardens are near Castille Place. Visitors can enjoy an excellent view of the Grand Harbour and the surrounding areas. Busts, statues, and plaques here shed light over significant historical events. Hastings Gardens is situated on top of the bastions on the west side, and it offers magnificent views of Floriana and Marsamxett Harbour. Lower Barrakka Garden is on the bastion overlooking the entrance to the Grand Harbour, offering superb views of the surrounding areas. 7. Work hard outdoors, and relax on a beach! Malta has many sandy beaches, however, they tend to get crowded, especially during the summer. Are you someone with a taste for outdoors, and love physical exertion followed by secluded relaxation? Selmun Bay is the place for you! It's a beautiful sandy beach, moreover, it's never crowded. You need to navigate a steep, bumpy track to get there. That’s quite a hard work, especially during the summer. This is also the reason for the relative seclusion of the place. The quiet beach is a truly relaxing experience after the hard work to get there! Are you a confident swimmer? You just need a mask and snorkel, and you can explore the wonderful marine life in the Mediterranean waters around Malta. You can see plenty even in shallow water. A few good places for snorkelling are Xlendi Bay in Gozo and Mgarr Ix-Xini Cove. 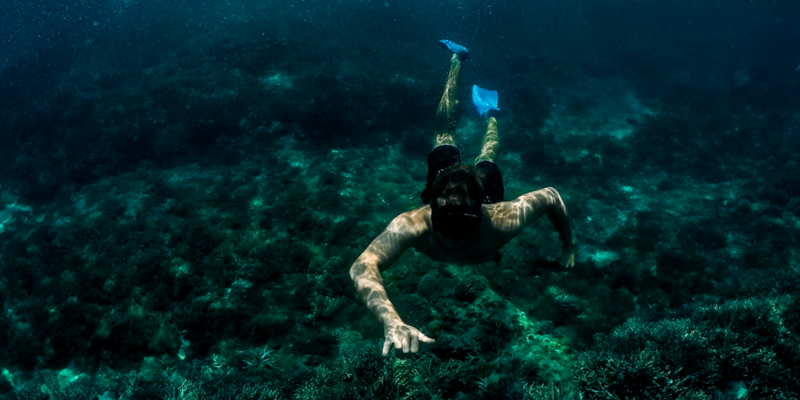 It’s perfectly safe to venture out in the shallow waters. You can hire a guide, however, that’s optional. Malta has a strategic location. Over the centuries, there have been numerous wars to control the destiny of Malta. 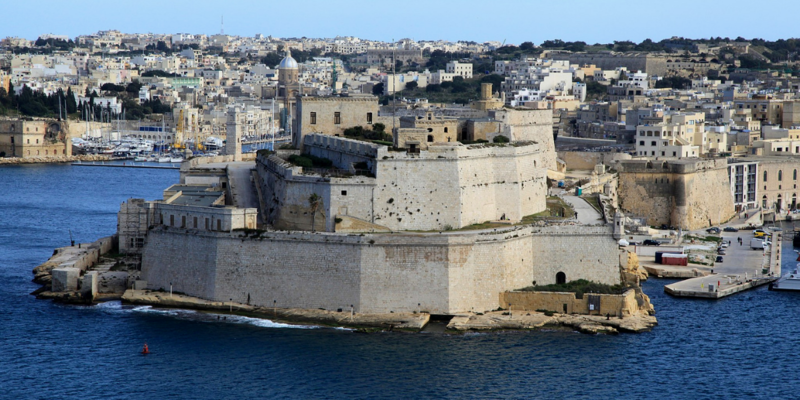 If military history appeals to you, then Malta is the perfect vacation destination for you! Start with a tour of Valletta on foot, and the valiant history of the Knights of St. John stares at you. Valletta itself was built after the Great Siege of 1565. Grand Master’s Palace, Fort St. Angelo, and several other historic sites give an indication of the valour of the people. Malta is sometimes called the “Fortress Island” due to the pre-eminence of military architecture. You can visit the numerous fortifications, towers, and museums to soak in the rich martial history of the country. Human settlement in Malta started long ago. The islands of Malta and Gozo have seven megalithic temples, and these are “UNESCO World Heritage Sites”. Some of these temples predate the Egyptian pyramids, which gives you an idea of how ancient these are! Are you fascinated with ancient prehistoric sites? The megalithic temples in Malta will leave their mark on you. These include gigantic bronze-age structures, and some of the oldest, free-standing monuments in the world. Explore Malta to the fullest! Whether you love partying, enjoy outdoors, cherish arts, or marvel at history, Malta has something for you! As we have described, you have plenty of options to explore this beautiful country while adhering to a budget. Explore Malta, to your heart’s content!